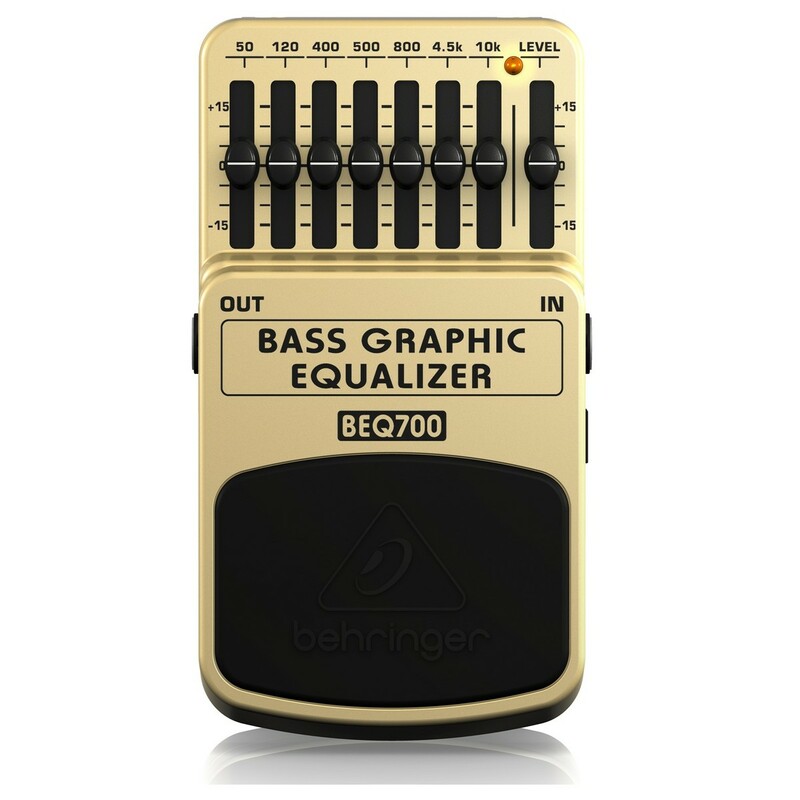 The Behringer BEQ700 Bass Graphic EQ allows guitarists to shape their perfectly desired bass tones with 7-band equalisation. Each band offers up to 15 dB of boost or cut and covers a frequency range from under 50Hz to over 10kHz, letting you sculpt your sound over a wide range. 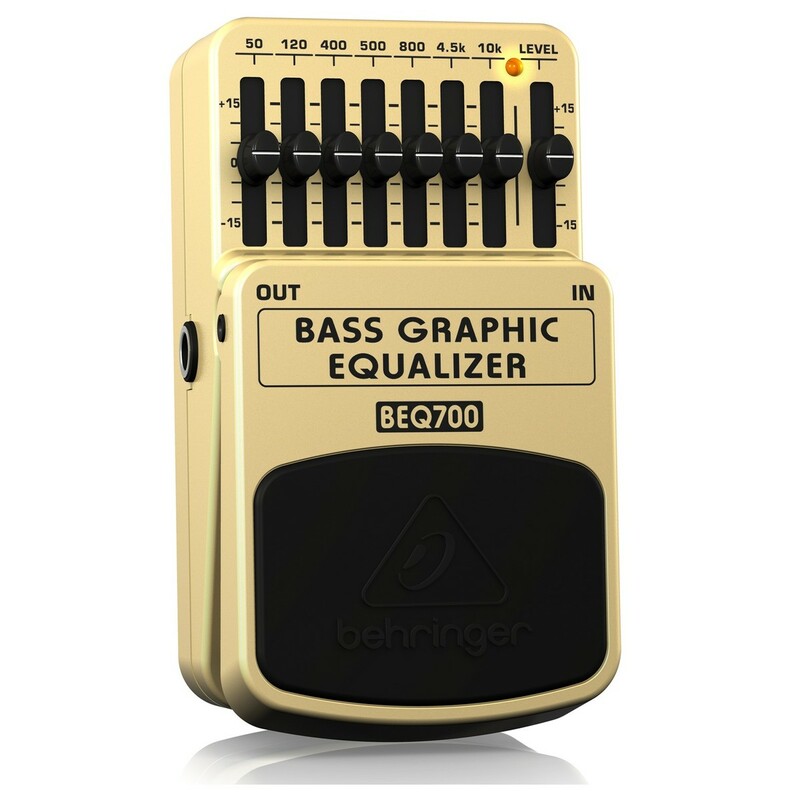 The BEQ700 has an integrated status LED to show when the effect is on and the status of the battery life. 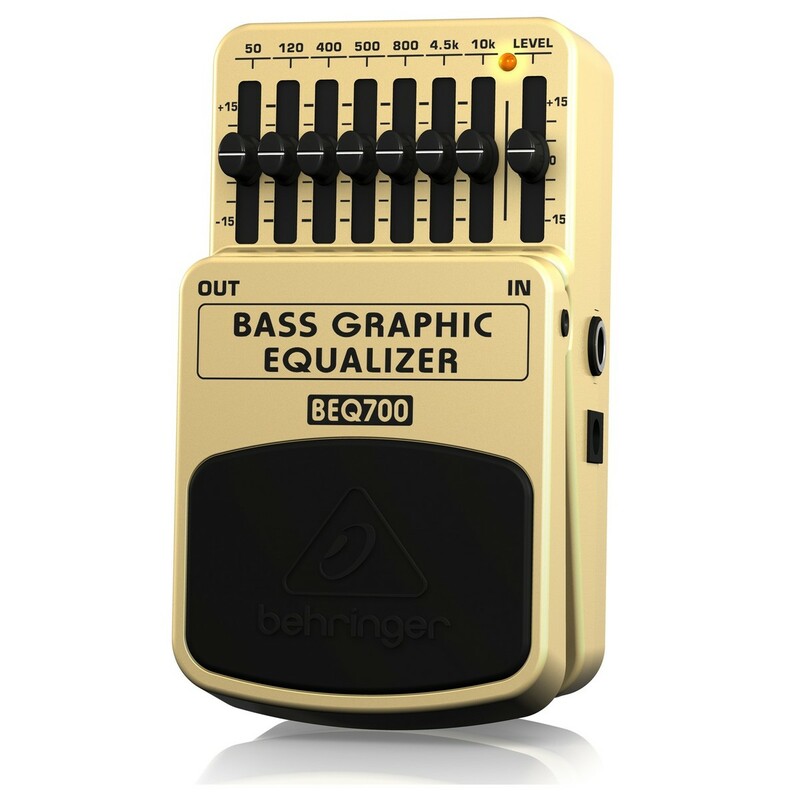 The bass pedal operates on a 9-volt battery or the PSU-SB DC power supply (sold separately).